1. 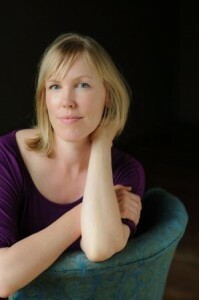 All That I Am by Anna Funder for a TLC Book Tour later this month. When Hitler seizes power in 1933, a tight-knit group of friends and lovers suddenly become hunted outlaws overnight. Dora, liberated and fearless; her lover, the great playwright Ernst Toller; Ruth; and Ruth’s journalist husband, Hans find refuge in London. There, using secret contacts deep inside the Nazi regime, they take breathtaking risks to warn the world of Hitler’s plans for war. But England is not the safe haven they think it will be, and a single, chilling act of betrayal will tear them apart. 2. 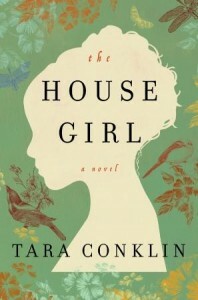 The House Girl by Tara Conklin for a TLC Book Tour in February. Two remarkable women, separated by more than a century, whose lives unexpectedly intertwine . . .
2004: Lina Sparrow is an ambitious young lawyer working on a historic class-action lawsuit seeking reparations for the descendants of American slaves. 1852: Josephine is a seventeen-year-old house slave who tends to the mistress of a Virginia tobacco farm—an aspiring artist named Lu Anne Bell. 3. The Ambassador’s Daughter by Pam Jenoff for review in February. The world’s leaders have gathered to rebuild from the ashes of the Great War. But for one woman, the City of Light harbors dark secrets and dangerous liaisons, for which many could pay dearly. 4. Blood Gospel: The Order of the Sanguines Series by James Rollins and Rebecca Cantrell, which I received for review. 5. Cassandra and Jane by Jill Pitkeathley, which I bought at the library sale for 50 cents. They were beloved sisters and the best of friends. But Jane and Cassandra Austen suffered the same fate as many of the women of their era. Forced to spend their lives dependent on relatives, both financially and emotionally, the sisters spent their time together trading secrets, challenging each other’s opinions, and rehearsing in myriad other ways the domestic dramas that Jane would later bring to fruition in her popular novels. For each sister suffered through painful romantic disappointments—tasting passion, knowing great love, and then losing it—while the other stood witness. Upon Jane’s death, Cassandra deliberately destroyed her personal letters, thereby closing the door to the private life of the renowned novelist . . . until now. 6. The Secret Lives of People in Love by Simon Van Booy, which I purchased at the library sale for 50 cents. 7. Eight Silly Monkeys illustrated by Steven Haskamp, which I picked up for the girl in spite of her temper tantrum for 50 cents. Get set for romping and rhyming fun! Young ones will love counting backwards as they watch eight monkeys disappear one by one with each turn of the page in this delightful tale. Eight Silly Monkeys features full-color illustrations, charming verse, and innovative die-cutting to reveal silly, touchable monkeys on each page. As fun to read as it is to listen to, this enjoyable rhyming adventure is a perfect read for ages 3 and up. 8. A Small Death in Lisbon by Robert Wilson, which I borrowed from the library since I’ve been inspired by this challenge to read more books about/set in Portugal, though I’m not limiting it to historical fiction or fiction — poetry works too. In A Small Death in Lisbon, the narrative switches back and forth between 1941 and 1999, and Wilson’s wide knowledge of history and keen sense of place make the eras equally vibrant. In 1941 Germany, Klaus Felsen, an industrialist, is approached by the SS high command in a none-too-friendly manner and is “persuaded” to go to Lisbon and oversee the sale–or smuggling–of wolfram (also known as tungsten, used in the manufacture of tanks and airplanes). World War II Portugal is neutral where business is concerned, and too much of the precious metal is being sold to Britain when Germany needs it to insure that Hitler’s blitzkrieg is successful. Cut to 1999 Lisbon, where the daughter of a prominent lawyer has been found dead on a beach. Ze Coehlo, a liberal police inspector who is a widower with a daughter of his own, must sift through the life of Catarina Oliviera and discover why she was so brutally murdered. Her father is enigmatic, her mother suicidal; her friends were rock musicians and drug addicts. 9. News from Heaven by Jennifer Haigh for a TLC Book Tour in February. Now, in this collection of interconnected short stories, Jennifer Haigh returns to the vividly imagined world of Bakerton, Pennsylvania, a coal-mining town rocked by decades of painful transition. From its heyday during two world wars through its slow decline, Bakerton is a town that refuses to give up gracefully, binding—sometimes cruelly—succeeding generations to the place that made them. A young woman glimpses a world both strange and familiar when she becomes a live-in maid for a Jewish family in New York City. A long-absent brother makes a sudden and tragic homecoming. A solitary middle-aged woman tastes unexpected love when a young man returns to town. With a revolving cast of characters—many familiar to fans of Baker Towers—these stories explore how our roots, the families and places in which we are raised, shape the people we eventually become. 10. Baker Towers by Jennifer Haigh, which I received as part of the tour for the new book. Bakerton is a community of company houses and church festivals, of union squabbles and firemen’s parades. Its neighborhoods include Little Italy, Swedetown, and Polish Hill. For its tight-knit citizens — and the five children of the Novak family — the 1940s will be a decade of excitement, tragedy, and stunning change. Baker Towers is a family saga and a love story, a hymn to a time and place long gone, to America’s industrial past, and to the men and women we now call the Greatest Generation. It is a feat of imagination from an extraordinary voice in American fiction, a writer of enormous power and skill. Also, I’ve been remiss in talking about some of the Kindle books I’ve downloaded or gotten for review, and have reviewed one or two already without featuring them in Mailbox Monday. 11. Rules for Virgins by Amy Tan, downloaded for free. 12. Georgiana Darcy’s Diary: Jane Austen’s Pride and Prejudice continued (Pride and Prejudice Chronicles) by Anna Elliot, downloaded for free. 13. Becoming Elizabeth Darcy by Mary Lydon Simonsen, downloaded for free. 14. Monsters In My Closet by Ruby Urlocker, which I received for review and reviewed, here. 15. A Killing in Kensington (A Patrick Shea Mystery) by Mary Lydon Simonsen, which I downloaded for free. 16. Must Love Sandwiches (The Bartonville Series) by Janel Gradowski, which I got for review from the talented author. 17. Darcy Goes to War by Mary Lydon Simonsen, which I downloaded for free.